Arrive at Delhi airport and transferred to hotel. Check in the hotel and relax for some time. After Breakfast proceed to full day sightseeing of Delhi which covers Humayun’s Tomb, Qutab Minar, Gandhi memorial, Jama Masjid, Birla Temple, India gate and Parliament area. After Sightseeing back to the hotel. Evening is at leisure for your individual activities.Overnight stay at the hotel. After Breakfast check out the hotel and proceed to Jaipur. On arrival check in the hotel and relax for some time. Later visit Amber Fort here you also take an elephant ride to visit the entrance of this hill fort. Rest of the day is at leisure for your individual activities. Overnight stay at the hotel. After Breakfast proceed to half day sightseeing of Jaipur which covers Hawa Mahal, Jantar Mantar and the Maharaja Sawai Man Singh Museum. In afternoon explore the local bazaars such as Johari and Bapu for shopping. Later back to the hotel. Evening is at leisure for your individual activities. Overnight stay at the hotel. After Breakfast check out the hotel and proceed to Agra. On the way visit Fatehpur Sikri. On arrival at Agra check in the hotel and relax for some time. Rest of the day is at leisure for your individual activities. Overnight stay at the hotel. After Breakfast proceed to full day sightseeing of Agra which covers Taj Mahal. Agra Fort and the tomb of Itmad-Ud-Daulah. In afternoon explore the Local Bazaars for shopping. Later back to the hotel. Overnight stay at the hotel. After Breakfast check out the hotel and proceed to Gwalior. On arrival check in the hotel and relax for some time. In afternoon visit Gwalior Fort. It is housed with some famous palaces such as Raja Man Singh Palace, Teli-ka-Mandir and the ancient temple. After sightseeing back to the hotel. Evening is at leisure for your individual activities. Overnight stay at the hotel. After Breakfast check out the hotel and proceed to Orchha. On the way halt in Datia to see the hilltop Govind Palace. Some popular places you will visit here include Raj Mahal, Jahangir Mahal and the Sheesh Mahal. Stay overnight at the Sheesh Mahal. After Breakfast check put the hotel and proceed to Khajuraho.It is famous for its Chandela temples. On arrival at Khajuraho check in the hotel and relax for some time. Later back to the hotel. Overnight stay at the hotel. 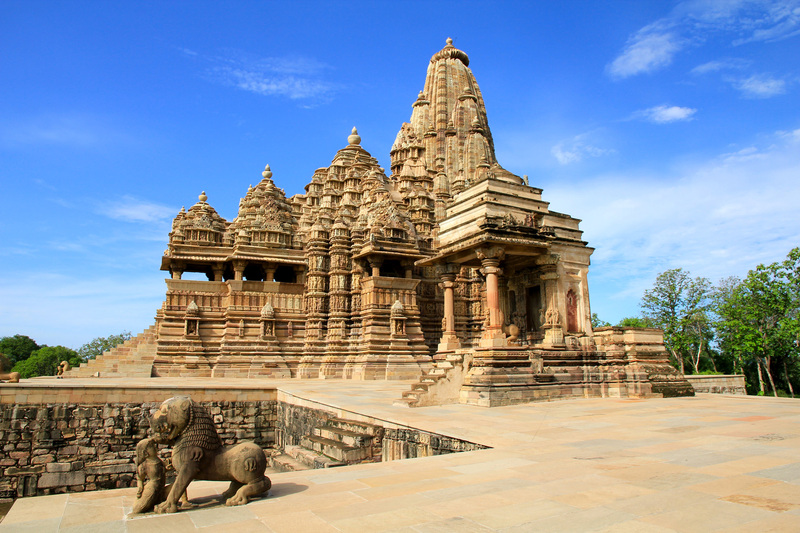 After Breakfast proceed to half day sightseeing of the sensuous temples of Khajuraho. Rest of the day is at leisure for your individual activities. Overnight stay at the hotel. After Breakfast check out the hotel and proceed to airport to board a flight to Varanasi. On arrival at Varanasi airport you are transferred to hotel. Check in the hotel and relax for some time. Later explore the which include Kashi Vishwanath Temple, Tulsi Das Temple and Bharat Mata Temple. After sightseeing back to the hotel. Overnight stay at the hotel. Early in the morning enjoy the boat ride on the river Ganges to witness the sunrise and rituals performed on the ghats. In afternoon proceed to half day sightseeing of Sarnath which include Buddhist temples and Sarnath Museum. Later back to the hotel. Overnight stay at the hotel. After Breakfast check out the hotel and proceed to Varanasi airport to board a flight for your onwads journey. If you have not decided yet or wants to customize tour itinerary or hotels listed above in "Royalty And Religion Tour Package By Indian Holidays", then we can change the travel itinerary and make a personalized, tailor-made holiday package, especially for you. We can modify this travel package as per your itinerary, budget, duration and the tourist places you would like to visit, including transportation and airfare should be included or not. Please fill the form below to contact us.